European Auto Repair Service, Maintenance and Repair for Audi, BMW, Land Rover, Mercedes-Benz, SAAB & Volvo Automobiles, Cars and SUV's at Prices Well Below The Dealership. Custom Deluxe Auto Service is your complete auto repair service from major engine repair & replacement to the simple oil change and factory scheduled maintenance for your Audi, BMW, Mercedes Benz, Land Rover, SAAB, Volkswagen or Volvo Automobiles and all other makes and models. Custom Deluxe Auto Service is your complete auto repair service from major engine repair & replacement to the simple oil change and factory scheduled maintenance for your are you having car problems? Get them corrected fast at Custom Deluxe Repair diagnostic center. We are a family-owned-and-operated auto repair facility proudly serving community at our location in Puyallup Washington. We work on foreign and domestic automobiles as well as hybrids. Custom Deluxe Auto Repair has been providing guaranteed workmanship, personalized services, and competitive prices for all foreign and domestic cars, SUV's, vans and trucks for years. 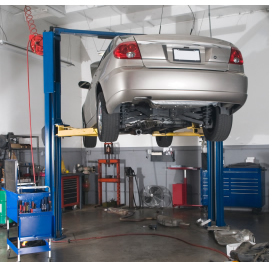 Our automotive technicians are highly skilled and work one-on-one to educate you on your vehicle's needs while paying special attention to details. We are proud to provide a full vehicle service center to the citizens of Puyallup,Tacoma, Bonney Lake, Fife, Milton an surrounding areas. Just drop us a line or schedule an appointment. Contact us today for a free consultation.